The Cold War was one such example, a vicious confrontation masquerading as a morally clear conflict. The ones to profit enormously from it were, as ever, those working in defence and beavering away on the next murderous device for the next lethal, preferably bogged down conflict. It produced false enemies in search of a fiction, leading to bloody proxy wars, long-ended engagements with lasting consequences, and trillions of dollars in waste. That there are still individuals who maintain that a victor could be found by this episode of orgiastic violence is not merely contestable but laughable. Australia’s equivalent of an illusory search for enemies it does not have but desperately wants comes in the form of white papers, or more specifically, the Defence White Paper. 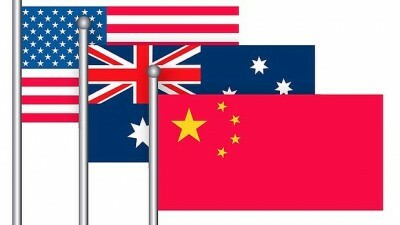 It heralds Australia’s intention, as the ABC described it, to join “Asia’s arms race”. What such Defence Papers do is stimulate the fiction of a threat, but do so in such a way that it becomes real. Self-prophesising doom is an enduring habit in such documents – a terror that is inflated in order to render it credible. There are fears about the relocating of influence, with half the world’s submarines finding their areas of operation in the Indo-Pacific region, along with a similar percentage of combat aircraft, over the next 20 years. This is the ingredient for the perfect storm and Australia is ever willing to wade into it. The military market bazaar is something Canberra cannot avoid, because it is being frequented by other countries. How the Guns of August, as Barbara Tuchman so eloquently described the catalysing moments of World War I, seem so pertinent in such times. This “updated” approach would need to place Australia’s neck further out, not from Perth, Sydney or Darwin, but at the forefront of south-east Asia and the Pacific. This recipe for aggression, according to Jennings, would see the Australian navy move “much, much further forward into the region than we had a generation ago”. Given that the worth of the Royal Australian Navy these days centre on towing back boats filled with asylum seekers to Indonesia, this hardly looks promising, let alone credible. What the white paper instead resembles is a proxy neo-colonial binge, directed from Washington. Australia’s generally useless defence force, which tends to only double as a mercenary outfit to deploy for the next US president, persists in this document. This is a hope in search of a purpose, and it comes to $195 billion over the next 10 years. But more to the point, it is one that commences with the illusion that Australia’s defence force is a technical miracle that is losing its lustre. The various new acquisitions range from an additional 2,500 defence personnel, 12 new E/A-18G Growler electronic attack aircraft, 12 supposedly “regionally superior” submarines costing $50 billion to be built between 2018-2057, 9 anti-war submarine warfare frigates, 72 F-35A Lightning II Joint Strike Fighters, and two fleets of drones. This is when defence-speak sounds much like the promise of a real estate agent. Things are going to “turn”; the market is bullish now for sellers, so, well, sell. Alternatively, if good for buyers, then throw in your lot with the others and purchase. All of this sets the scene for the next bit of theatre, this time from the Chinese side. Chinese military strategists worth their salt will have a far better sense of Australian capabilities than the Australians themselves. They know that the packed punch is only ever going into thin air, unless it has Washington’s reassuring hand. The problem with a country with no external threats is that something needs to be invented. This not a case of necessity so much as envy, the sense of cascading irrelevance. The Asia-Pacific, ever the source of so much historical angst for Australia, continues to supply the perfect alibi for the next, unnecessarily dangerous arms race.